Living without a refrigerator for months will really help you appreciate them. As soon as that nasty chlorine/bleach Savo smell is properly aired out, I'm loadin' this baby up with perishables! The thought had occurred to me! I'm going to try to avoid both of those things for a while. 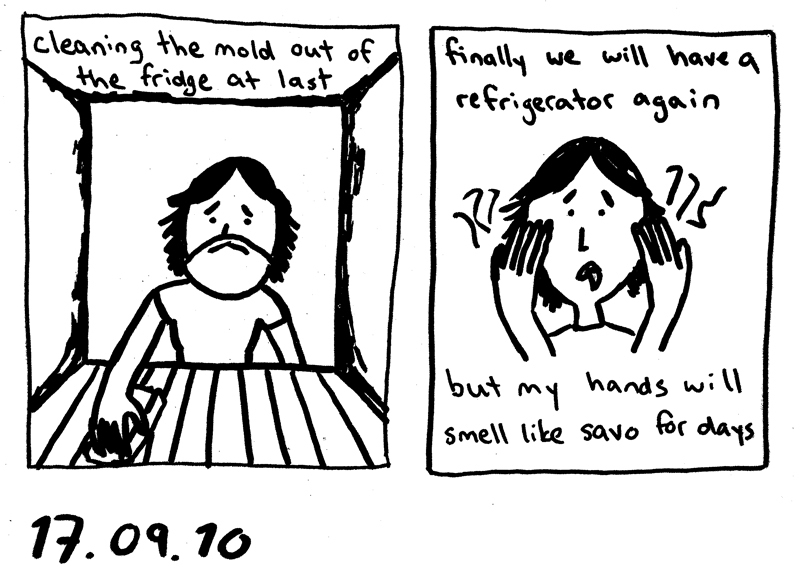 Next time a moldy old refrigerator needs to be cleaned, my flatmate can do it! Anyhow, I'm healthy again now.